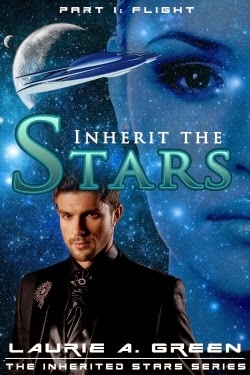 INHERIT THE STARS Launch Day! And we have lift-off of a brand new SFR series! Today marks the launch of Part I of INHERIT THE STARS--subtitled FLIGHT--an award-winning novel which was also a former finalist in the RWA Golden Heart Awards(C) under the title P2PC. This opening novel of The Inherited Stars series is being offered in three parts. INHERIT THE STARS PART I: FLIGHT is on sale at a special price of .99! I want to tell you a little about Zjel--a pivotal character in INHERIT THE STARS who is neither the heroine nor antagonist (per se), but nevertheless plays a major role in the story. Drea Mennelsohn is the heroine of the upcoming SFR, Inherit the Stars. Since the story is told entirely from the hero, Sair's, POV, she might initially be a bit hard to get to know. After all, everything the reader learns about Drea is filtered through Sair's experience. And Sair owes her a debt--a debt he is forced to accept for the sake of his own survival. It's a very personal debt he isn't at all keen on paying. February Triple Launch and Fifteen Fun Facts!